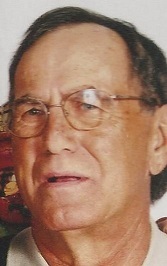 David Walter Papasan, 66, of Tuscola went to be with the Lord on July 8, 2015. Funeral services for David will be held at 10:30 am on Saturday, July 11, 2015 at the Bluff Creek Cowboy Church, 3802 FM 2405, Winters, with Marcy Grun officiating, directed by Fry~Smith Funeral Home, Tuscola. Burial will be at Dewey Cemetery, Lawn. Visitation will be Friday, from 5:00-7:00 pm. July 10, at the funeral home. David was born on November 21, 1948, in Abilene to Coldon and Ona (Blankenship) Papasan. He grew up in South Taylor County and was baptized at Lawn Baptist Church. He graduated from Jim Ned High School in 1968. In his early years, he worked several jobs, which included truck driving, oil field pipe sales, and as a ranch hand. For the last 30 years, he worked for Taylor County Precinct 4, and retired November 2014 as a road foreman for Commissioner Chuck Statler. David loved the country and all things western. He worked cattle as a young man at the family homestead near Goldsboro and tended cattle for many other ranches. His passion was competing in cook-offs for barbeque and chili, and won many awards over the years. He cooked for several of the fundraising events including Taylor County Lions Club fish fries, ECCA Fire Dept, Merkel Fire Dept, Chili Super Bowl benefiting Ben Richey's Boys Ranch, and the Fire and Ice Feast for south Taylor County fire departments. Survivors include his spouse, of twenty one years, Bettie Barbieri of Tuscola; daughter Shana Dilldine and husband Robert of Fort Worth; son David Knickia Papasan and wife Tonya of Florence; daughter Callie Papasan of Abilene; daughter Nicole Barbieri of Tuscola; son Garreth Hayes and wife Yolonda of Austin; brother Bobie Papasan of Granbury; and a sister Patsy Fort of Dublin. Eight grandchildren, David James (D.J.) Dismore, Brittany Dilldine, Jaidyn Dilldine, Sage Dilldine, Mary Ciera Dilldine, Morgan Papasan, Myranda Papasan, Levi Hayes, and many other relatives. David is preceded in death by his parents George Coldon Papasan and Leona Blakenship Papasan, son David Shane Papasan (dec 1972), brother, Jimmy Dale Papasan, sister Ruby Nell Richards, and granddaughter Makenzi Knicole Papasan. Memorials can be sent to the National Kidney Foundation , Finance Department 30 East 33rd St., New York, NY 10016. Click here to see David Walter's last Profile entry.